MF3 / MF+ Revitalisation HR. โหมดดูแล ฟื้นฟูสุขภาพด้วยเซลล์โดยตรง (16 organs/glands) 10 x 4 ml. MFIII Revitalisation HR. (16 organs/glands) 10 x 4 ml. 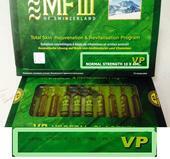 MF3 / MF+ Total Skin Rejuvenation and Revitalization Program (Vegetal Placenta) [ MFIII TSRRP TRIPLE Strength] Look And Feel Younger Now! 6ml x 10 Amps. MFIII Total Skin Rejuvenation and Revitalization Program (Vegetal Placenta) [ MFIII TSRRP TRIPLE Strength] Look And Feel Younger Now! 6ml x 10 Amps. MF3 / MF+ Total Skin Rejuvenation and Revitalization Program (Vegetal Placenta) [ MFIII TSRRP Normal Strength] Look And Feel Younger Now! 5ml x 10 Amps. MFIII Total Skin Rejuvenation and Revitalization Program (Vegetal Placenta) [ MFIII TSRRP Normal Strength] Look And Feel Younger Now! 5ml x 10 Amps. 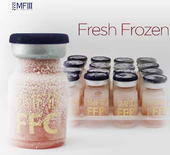 MF3 / MF+ Total Skin Rejuvenation and Revitalization Program (Vegetal Placenta) [ MFIII TSRRP Normal Strength] Look And Feel Younger Now! 4ml x 10 Amps. MFIII Total Skin Rejuvenation and Revitalization Program (Vegetal Placenta) [ MFIII TSRRP Normal Strength] Look And Feel Younger Now! 4ml x 10 Amps. 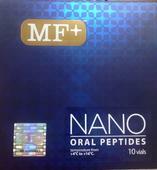 MF PLUS Ultrafiltrates FETAL TOTALE NANO CELL (1200mg.) 2.5ML. x 10 VIALS.